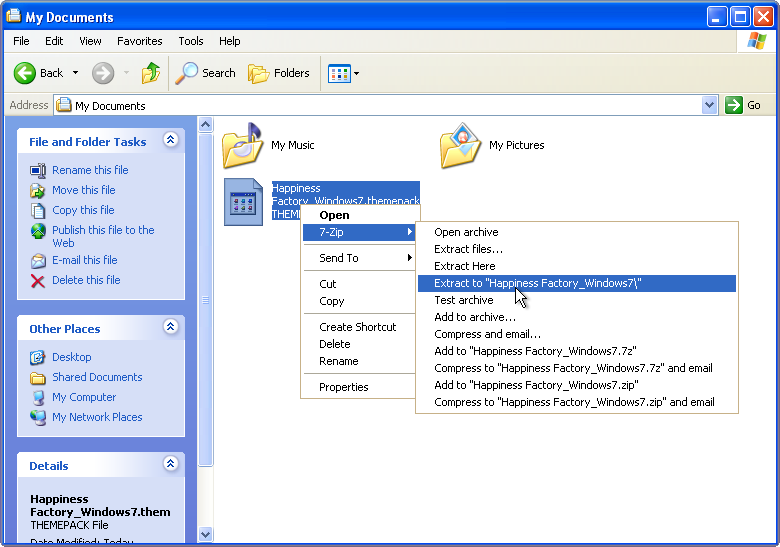 First, download some of the themes you like to your Windows XP or Vista desktop. These files have a unique .themepack extension which is just another zip format containing all of the elements of a theme including the background images, Aero glass colors, sounds, cursors, icons, screen savers, etc. 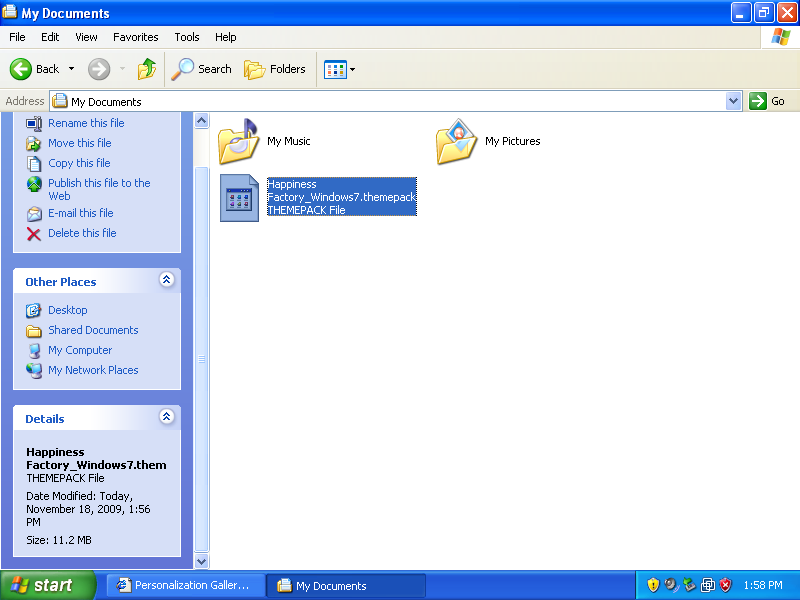 To use these files on an older version of Windows, you first need to extract them as only Windows 7 can natively understand the themepack format. You can either change the file extension of the Windows 7 theme file from .themepack to .cab and then extract the files with a right-click, or install the free 7 zip utility as 7-Zip can automatically hand the themepack file format. Once extracted, your theme files will now be in a new folder that has the same name as your original themepack. 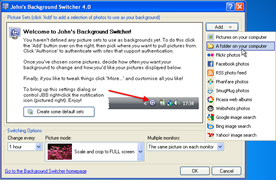 Most Windows 7 themes consist of multiple background images and Windows 7 will automatically change your desktop background at periodic intervals using one of the images from the themepack. 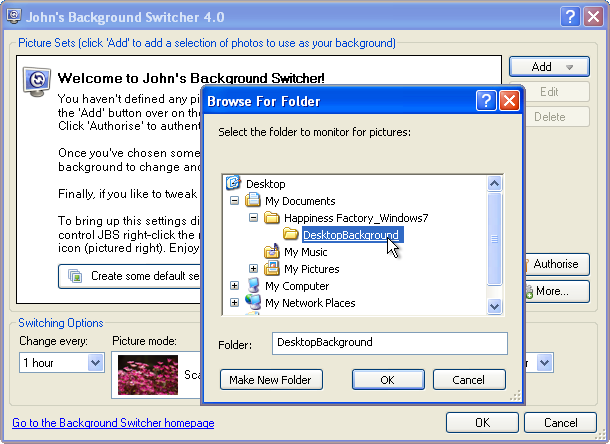 Windows Vista and XP do not support desktop slideshows, but you can easily bring that feature use the excellent and free John’s Background Switcher program. 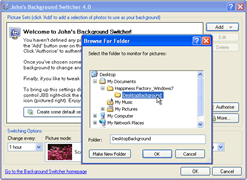 To create a desktop slideshow, click the add button and choose “A folder on your computer.” Now select the Windows 7 theme folder that contains all the background images. The program allows lot of tweaking but you can skip that because the default settings are very similar to what you need for simulating Windows 7 behavior on your XP or Vista computer. 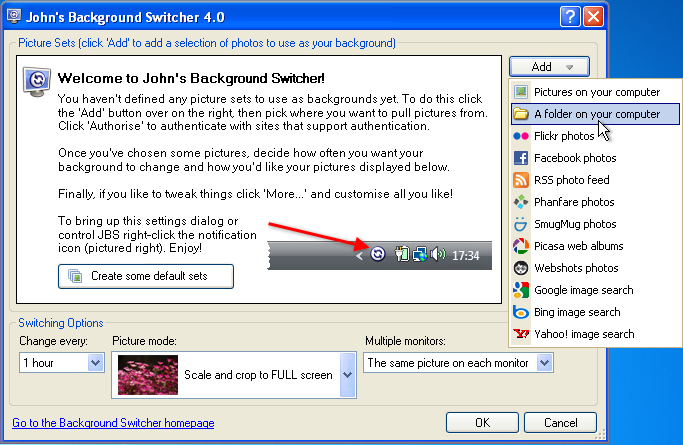 However, John’s Background Switcher by default shows the name of the image in the top right hand corner of the picture. To remove this, click the “More…” button that has a gear icon on it. Uncheck the box beside the 3rd entry which says “Show picture info on the top-right corner of the screen.” Now click Ok, and then click Ok in the main window, and your desktop slideshow is all ready. Next Next post: Install OS From Your Flash/Pen Drive.